CLEVELAND, January 25 — Brother Charles D. Weick was reelected by acclamation to his second term as Chairman of the BLET’s North Dakota State Legislative Board during its quadrennial meeting in Bismarck, N.D., January 11-13, 2016. 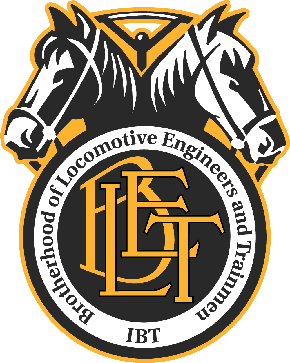 Brother Weick is a CP Rail locomotive engineer and Legislative Representative of Division 160 (Harvey, N.D.). He hired out with the CP Rail in January of 1994, earning promotion to locomotive engineer in 1998. He has held continuous membership in the BLET since April 1, 1998. Brother Weick began serving his Division as Legislative Representative in 2004 and was elected to serve as Secretary-Treasurer in 2008. He was elected unanimously to serve as Chairman of the North Dakota State Legislative Board on January 24, 2012, following the retirement of outgoing chairman Michael R. Muscha. Also elected during the quadrennial meeting were: 1st Vice Chairman Sean M. Forschen, Division 746 (Mandan, N.D.); and 2nd Vice Chairman Mark A. Schneider, Division 695 (Minot, N.D.). Secretary-Treasurer Darin L. Hamre, Division 671 (Enderlin, N.D.) was reelected by acclamation. Elected to serve as Trustees of the Board were: Terry L. Pauli, Division 69 (Grand Forks, N.D.); Mark A. Schneider, Division 695 (Minot, N.D.); and Sean M. Forschen, Division 746 (Mandan, N.D.). BLET Vice President and National Legislative Representative John P. Tolman represented the National Division at the meeting, along with Special Representative Richard A. Olson. Brother Olson is a member of Division 746 (Mandan, N.D.). Additional BLET members in attendance included: Jim A. Olson, Local Chairman of BLET Division 160 (Harvey, N.D.); Paul P. Ripplinger, Local Chairman of Division 671 (Enderlin, N.D.); and Mike Muscha, former Chairman of the North Dakota State Legislative Board and retired member of Division 671. Kathleen Bisbikis, National 2nd Vice President and National Legislative Representative of the BLET Auxiliary, was also in attendance. Guest speakers included: Waylon Hedegaard, President of the North Dakota AFL-CIO; Ross D. Keys, Deputy State Director from the Bismarck office of Sen. Heidi Heitkamp (D-ND); and Naomi Muscha, North Dakota State Representative from District 24. Federal Railroad Administration Field Inspector Michael Buchholtz and Hazmat Inspector Dion Miller were also in attendance. The North Dakota State Legislative Board represents more than 550 active and retired members living in North Dakota.